Hello All, I�ve moved to my DE after finishing my chaos army (Hellcannon withstanding). I�ve been playing chaos warriors in fantasy and space wolves for 40k, but the time has come to return to DE, they were my first army but I never really played a lot with them. Most of the army has 3 colours but no highlights or toning. 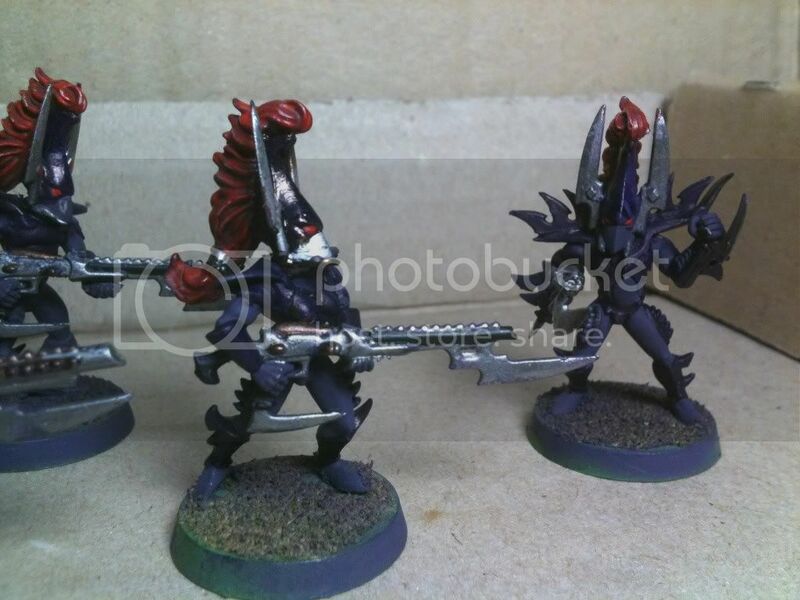 They are the traditional dark purple, couldn�t help myself its one of the reasons I like DARK Eldar. Here is the first unit I am moving towards completing. A unit of Kabalite warriors is something I will always use so it is a good one to start with. I have yet to determine a name and symbol for the army, but I hope that with come will a few games. Here is the raider, I have started to highlight it, one side only as it is my tester. The sail is detachable for those times that I don�t run one, it also needs some help. Its is on a odd angle because the tail of the raid comes to far forward. The unit that rides this boat has read helmets so the sail is read. The unit has 11 models with Sybarite, blaster and splinter cannon. Still need highlights. These guys are still under construction. 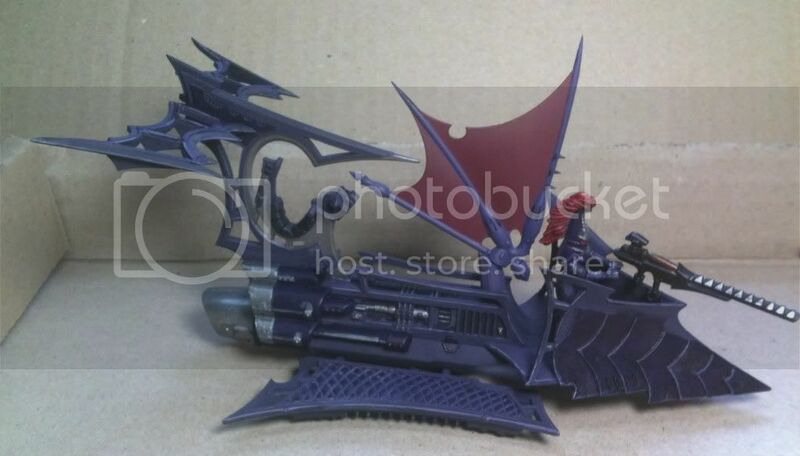 The one on the right is a blaster conversion. I�ll finish this unit and its boat and them maybe move to the wacks and their boat.